Redhill is a town in the borough of Banstead and Reigate in Surrey. It is part of the London commuter belt. 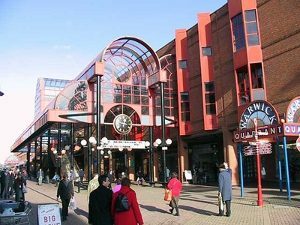 Redhill is famous for the Belfry Shopping Centre which adjourns a pedestrianised High Street. There is also a popular street market which is open on Thursdays, Fridays and Saturdays. Redhill lies at the junction of the A23 and A25 roads. Redhill has good public transport facilities and Redhill railway station is at the junction of three lines. Lanes School of Driving first started in 1914. Since then Lanes has been teaching generations of locals to drive. Lanes started small but grew year by year and now it ranks as one of the biggest independant Driving Schools in the UK. Lanes is well known in the local community and has a reputation for quality instruction. Lanes has a wealth of experience on which to draw and each student is provided with a driving course tailored to their individual needs. Students often lead busy lives. At Lanes we give student complete freedom to structure their lessons around their pre-existing commitments. Students can chose their own pace of learning. Lanes believes in personal tuition and students are able to learn alone with their instructor, free from the distractions of other students. Lanes has a range of modern cars with the latest technology for our students to use. Students can chose to be collected from their homes prior to each lesson. Lanes have been providing driving lessons in Redhill, Surrey for many years. Please call us today on 020 8166 5678 or click here to send us an email via the contact page. The instructors at Lanes are experienced and highly qualified. Each of our instructors is a DSA registered Approved Driving Instructor. Many of our instructors trained with Lanes at the beginning of their careers. Each student at Lanes is given an instructor who will remain with them until they complete their driving test. We believe that it is beneficial to the student to have the same instructor who is familiar with their particular needs. Lanes have a team of driving instructors in Redhill, Surrey. Please call us today on 020 8166 5678 or click here to send us an email via the contact page. Learning to drive for the first time can be unnerving. Female students can feel self-conscious with a male instructor. We understand their concern and thus we offer female students the option to chose a female driving instructor. Our female driving instructors are very forgiving and gentle. The will not put students under any pressure. Female students often feel more relaxed with female instructors and this allows them to progress faster with their driving. Lanes have a selection of female driving instructors in Redhill, Surrey. Please call us today on 020 8166 5678 or click hereto send us an email via the contact page. Some students would rather learn in an automatic car as opposed to a manual one. It could be argued that manual cars provide greater control. Nevertheless automatic cars are definitely less complicated and students find them less daunting. Beginners often have problems with stalling their cars. They will be relieved to know that automatic cars do not stall. Automatic cars are simple to learn on and students can progress a lot faster on them. Lanes have a selection of automatic driving instructors in Redhill, Surrey. Please call us today on 020 8166 5678 or click here to send us an email via the contact page.